He has many years of experience in financial services in Poland and abroad. In 2003-2007, he worked as a Project Manager in the World Bank where he was responsible for preparing and coordinating the implementation of borrowing programs in the CEE countries. 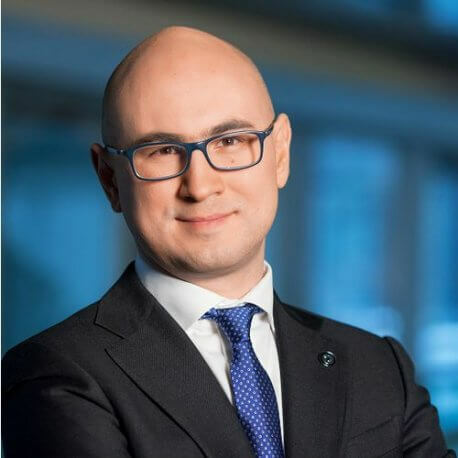 In 2009-2016, he has collaborated with The Boston Consulting Group, where he has held the position of a Junior Partner and was responsible for consulting to the financial sector companies. He took part in several bank mergers where he acted as an expert. Graduate from Economy at Warsaw School of Economics. He earned the title of Master of Business Administration (MBA) at London Business School.